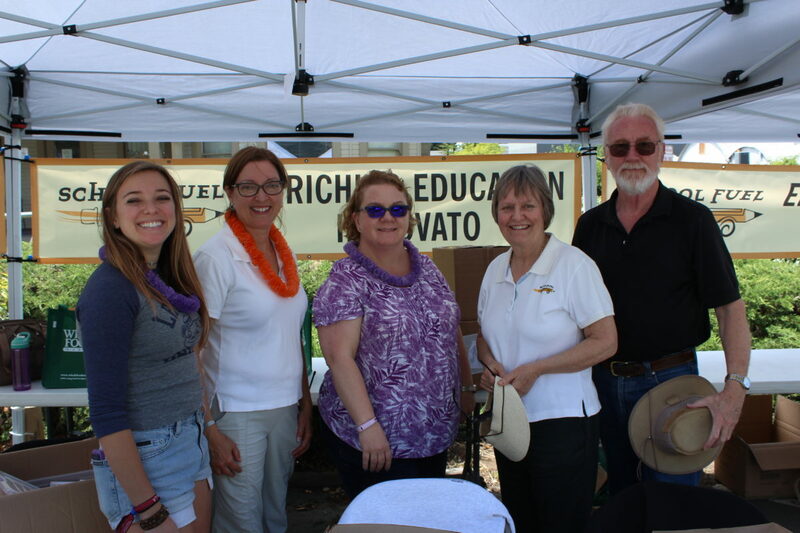 School Fuel is the Novato Foundation for Public Education. School Fuel is a 501(c) 3 nonprofit foundation formed in 2003 by parents and community leaders. We raise money to pay for programs for Novato Unified School District students and sponsor local events that showcase NUSD students. School Fuel also develops partnerships with private and public organizations that offer programs for the local schools. The foundation’s goal is to help ensure that all students have access to enriching and rigorous programs that will keep them engaged and curious while preparing them for their next level of education and their future careers. The third part of School Fuel’s mission is to help parents of Novato students become more informed about our district and education issues so that they can be more effective partners in their child’s education. In the last year, over 250 adults and students participated in School Fuel programs as volunteers. The School Fuel volunteers work hard, have fun, and would welcome more help. Together, parents, students, and community members can make a significant difference in the lives of Novato’s young people and in the vitality of this community. School Fuel also participates in the Marin countywide collaboration of education foundations known as SchoolsRule Marin. All of the funds raised by SchoolsRule are distributed to the member organizations based on the number of students enrolled in the district. Visit schoolsrulemarin.org for more information.